Insects play an important role in life. Insects mostly live in forests, grasslands, mountains., and cities. Some even live in aquatic environments such as freshwater ponds, lakes, and streams. Some live in underground and some fly through treetops. In most environments, insects are critical to plant growth because they pollinate flowers. Without pollination, fruits and many vegetables will not form. All insects are cold-blooded.. This means they must warm their bodies by using energy from the Sun. In the winter or cold locations, some insects remain inactive until it becomes warmer again. Insects biotic factors include parasites, predators, protist, bacteria, and fungi. Insects need food depending on the type of insec it is and water and warm temperature in order to survive. How insects became resistance to_______________? Insects are known for their ability to develop resistance to insecticides. insects there may be a few individuals that carry the genes for resistance. mutant insect is typically compromised, weaker and produces less progenies. I was unable to find research upon this, but in my opinion I believed that a benefit would include that pesticided repel insects and bacteria from coming and harming the plants. A negative is that pesticides can harm the wildlife negatively which includes insects. They have an important role in our envronment even though they can have bad effects to our environment at the same time. 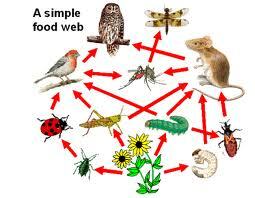 If pesticide was carried through a food web it will surely pass through the food chain. Animals in the higher tropic level would be affected such as bald eagles, hawks, and owls. The smallest bacteria and producer can absorb the pesticide and affect the food chain, This will cause the primary consumers to die and the rest of the consumers to die. The largest insect in the world is the Titan Bee which is found in Brazil and sometimes in The Amzon RainForest. It is measure up to seven inches long. Humans have been attemping and controlling to conrol insects and other arthropod pest. We are affecting the species because we are using a lot of pesticides that are killing lots of insects.It also causes air and water pollution which could affect other animals as well to. 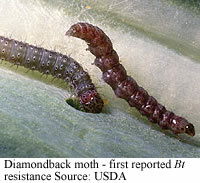 More and more pest species are increasingly becoming resistant to pesticides. Our role in the environemt is to spray less amounts of pesticides, or think a safer way to keep plants safe rather than harming the environment. A safer way than using pesticide is depending on where you grow your plants, you can hang filled bags of water to repel insects. Researcher say use can use dish soap to repel insects. You could also attract their natural predator to your garden denpending on what types of pest you are dealing with.